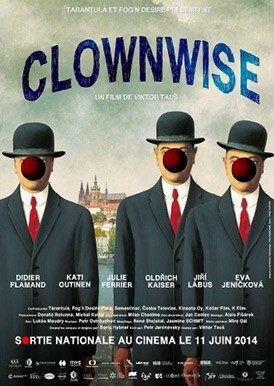 Produced by Fog’n’Desire (CZ), Tarantula Luxembourg, Sokol Kollar (SK), Kinosto Oy (FI). While still enrolled as a student of FAMU, the Prague film school, Viktor Taus directed his first feature film “Kanarek” to high critical acclaim. Then, he spent a number of years working as one of the most succesful directors of commercials in the country, shooting over 70 ads for such prestigious clients as Renault, Vodafone, O2, GE Money Bank, Unilever and Nestle among others. In 2007, he co-founded the production company Fog’n’Desire Films with partner Michal Kollar. In 2010, his second feature drama, “The Great Thaw”, was released, reaching 650 000 admissions in the Czech Republic alone, with the second largest opening week-end.